The other day I paid $20 to drink my own wine at a restaurant. That's a standard corkage fee in the Bay Area these days. Restaurants claim they need the money because of the loss of profit from selling a bottle of wine from the list. I think a $20 drinks profit from a party of two assumes a lot. What if we each had one glass of wine? Or a beer? Or my usual drink when I'm not having wine -- tap water? But I'm willing to pay the $20, and have many times. However, for some reason this time I got to thinking about the tip. When the bill arrived, it had suggestions for 18% and 20% tips (not even 15% anymore) printed right on it. Our bill for two including corkage was about $90, so a 20% tip would be $18. But if I left out corkage and tipped 20%, the tip would be $14. At 15%, the tip would be $13.50 with corkage, $10.50 without. Should I have to tip on corkage? Isn't corkage itself a service fee? The server brought glasses and opened the bottle, though I offered to open it myself. We refilled our glasses ourselves, as we prefer; servers like to fill glasses to the brim so you'll order another bottle, but my wife stops drinking wine long before I do. For that the restaurant made $20. You can talk about lost drink sales all you want, but $20 to rent a couple glasses for 90 minutes is highly profitable. Does the server also get $3 or $4 for bringing those glasses to the table? One could argue that if I don't tip on corkage, the server also lost an opportunity to generate a higher bill through drinks I might have ordered. However, the server would actually have worked in that case, as I would have asked for descriptions of the wines by the glass, and maybe a taste as well. For me the process of ordering a glass of wine is when I most want good service, especially because in many restaurants the server doesn't bring the food anyway. I'm not convinced that servers should get tips on corkage -- certainly not 20%. But I wouldn't feel comfortable tipping 15% on only the non-corkage portion of the bill. Fortunately, the tip section of the bill doesn't require me to spell out my logic; a number with a dollar sign in front is sufficient. In this case, I tipped $14. That's either a generous 20% on the non-corkage portion, or an old-school 15%, rounded up, on the corkage portion. I guess you could call me the Arlen Spector of tipping on corkage: I'm firmly on the fence. We have a saying in the theater that if the audience is looking at the lights or the curtains during the performance, there's something seriously wrong with what's happening on stage. If a diner has to be fretting over the tip more than usual, perhaps there's something wrong with the restaurant's service, policies, or food. I usually just blindly tipped (when I had money) 20% on everything at the end of a memorable night out. However, if there were problems that turned the experience bad, then I was not afraid to not tip at all to help deliver the message for a need to improve. Nowadays, before we consider bringing wine (and sometimes the Riedel) with us to a restaurant, we check ahead on the corkage. If it is unreasonable - especially if we are bringing wine we made ourselves - then we won't go to the restaurant. Note that there are more restaurants taking the opposite approach: they offer no corkage on wines purchased at a nearby winery or wine shop. Why is it that diners assume a server receives a portion of the corkage fee from the restaurant? Servers are not given a portion of the restaurant's profit on food or alcohol sales. Additionally, when one tips a server 15%, 18% or whatever amount, the server then must pay for the service he receives from bussers, bartenders, etc. While tipping is optional for the patron, tipping out co-workers is not optional for servers. I feel that, when I dine out, I am occupying a seat that belongs to a server. I am engaging in a sort of social contract through which I agree to compensate a server for his/her efforts. Too often, I think diners simply do not understand the ramifications of poor tipping; however, in some cases, diners who do not tip on items such as wine purchases actually end up costing the server money. Like most, I tip more for exceptional service; however, I would never leave without any tip whatsoever. Why? I too have had an off day at my job. I too have had too work when something horrible had gone wrong that day, and it probably led to a mistake or too. But to tip nothing is just wrong, have the courage to speak with a manager. The passive-aggressive intent to "deliver the message for a need to improve" only reflects poorly on you. Anon: I don't think I implied that servers get a portion of the corkage fee. The question is whether or not they're entitled to a tip on the corkage fee. I never suggested leaving without tipping. That's a straw man argument. You are correct. You did not mention leaving without tipping. In referencing the previous comment left by Jon Bjork, I realize I created a bit of confusion. I apologize for that. I've encountered guests such as W. Blake Gray who nitpick every nickle and dime spent at said restaurant and it is for this reason that in my opinion BYOB should be outlawed. The problem arises when you give such people the opportunity to bring their own wines and immediately the slippery slope of rationalizing of the amount of service, costs of glassware, tablecloths, candles etc come into play, forever tainting the restaurant/waiter/guest dynamic. I think at the core of it all W. Gray is a cheap individual and once you give him the chance to bring his own wares, the restaurant/guest dynamic shifts and he will do his best to get out of the established courtesies (such as tipping) as he sees fit. He is not alone, but for a restaurateur such as myself, they bring nothing but headaches and truly exploit the idea of "corkage" as it was intended. Anon: Please tell me the name of your restaurant and I will be delighted to avoid patronizing it. You may then continue to enjoy the patronage of people who never think about money. Your tip was considered an insult. Please consider how childish your comment/threat of "usual drink when not having wine..." Are you really threatening to have a glass of tap water instead of wine???!!! you are the only person loosing out. I understand $20 seems a bit stiff. most places will comp that if you buy a bottle. Regardless your bill was $90 and you left $14. That is an insult to the server. You were not charged 20 clams to rent wine glasses. You wanted to enjoy wine in a restaurant without purchasing from their selection. Which may or may not have taken a lot of time, effort and money to acquire and put together. And justifying/rationalizing a cheap tip??? Publicly??!!! and really bringing riedel to restaurants... It's just grape juice! OK OK, I am not going to drink first growth out of a pint glass, but you made the wine. Get over yourselves, it's just grape juice. Wow, a tip of more than 15% on the total bill is an insult! Readers, feel free to insult me with $14 all day if you like. It is nice to learn what restaurateurs think of customers. Between the restaurateurs who set the corkage policies and the customers who decide what constitutes a fair tip are the hardworking waiters. Having done the job for many years once upon a time, I know this much: Waiters get no cut of corkage (and have no power to change that). And Blake, while you may be easygoing and willing to pour your own wine, the truth is there's much less work and stress involved for a good, professional waiter opening a $25 bottle of house wine, versus opening someone's gummy corked trophy wine from their cellar that they are trying to impress their dinner companions with (while saving a few bucks). In fact, when some waiters and sommeliers (and even some non-hospitality industry folks) go out to eat, they often tip on the retail value of the wines they bring in for corkage, since they know the waiters are cut out of the equation, and they are still saving lots of money bringing in their own wines as customers. The last thing I would add is that I think most restaurateurs don’t actually like corkage. They do it because they have to, to be competitive—especially these days. I know that $20 in corkage may seem like easy money for a restaurant, but the kind of people who take advantage of corkage policies are generally the people who, given a world with no corkage, would have bought a more expensive wine. And with restaurant markups being what they are—ugghh—that would have been more profit for the restaurant, and a bigger tip for the waiter. So for what it’s worth, I vote for a full tip on the corkage. Geez, some cranky restaurant owners out there. 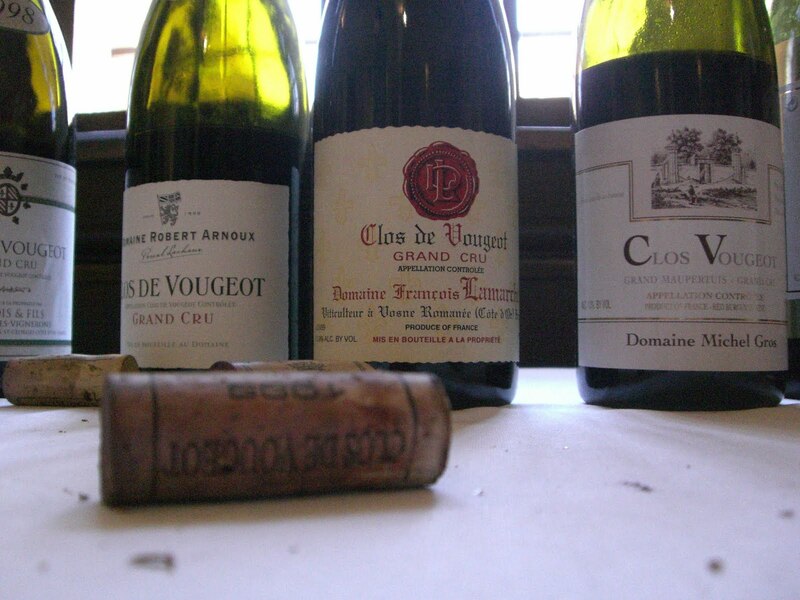 The reason people complain about corkage is the price is not commensurate to the service. Same story for the markup on wines sold by the restaurant, especially since very rarely are the better wines aged at all. Most people would not have a problem with paying a premium for corkage or mature wine, but it's the fact that the premiums are so high that irritates people. If a restaurant provides good stemware and a thoughtful wine list, the premiums are worth it to me. But the typical restaurant often has crappy stems and a boring wine list. In my mind they're just following the status quo and expecting to make money for doing nothing. Now, I'll definitely tip on the total bill, no questions. But restaurateurs might want to ask themselves whether it's better to have more seats filled with a smaller margin on alcohol or to fill fewer seats with a larger margin on alcohol. It probably depends on a given restaurant. But that combo of high corkage with 3x markup is a hot button for customers. We're not just being cheap--a nice dinner out is a luxury that we only get to do once in a while. This is a never-ending topic of debate. I just wrote an article on my blog (http://www.chevsky.com/2010/06/gaja-meets-pork-at-village-pub.html) where I tangentially mentioned that the som charged us $60 corkage for 2 bottles, after we shared a bunch of our wine with her and got all friendly and obviously showed that we are serious wine people, and not your lay consumer. My expectation in those cases, at least out of professinal camaraderie, the som would wave or reduced the corkage at least on one bottle (in which case I would have given a bigger tip), but I was disappointed that she didn't do that (not that she had to, but it would have been a smart touch for foster a longer-term relationship), and yet the comments others left on my blog suggested that perhaps she did nothing unreasonable. I know quite a bit about the inner workings of restaurant wine programs, etc, yet I am bothered by $30/btl corkage (I think $15 is ok). I don't believe there is a formula for corkage - they will charge whatever they can get away with, as is everything in business - supply/demand. Except the smarter business will think about building long-term relationships with their customers, which in my book means having more reasonable corkage policies (unless the restaurant is so amazing, like French Laundry, that they can charge whatever they want! ).